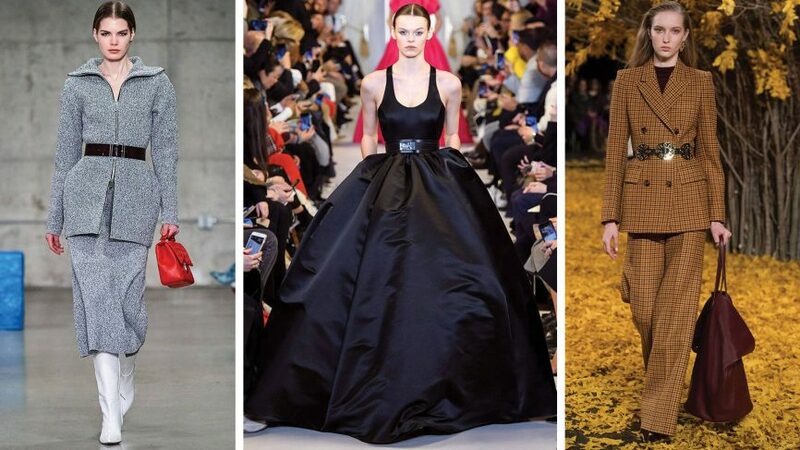 The NYFW 411? 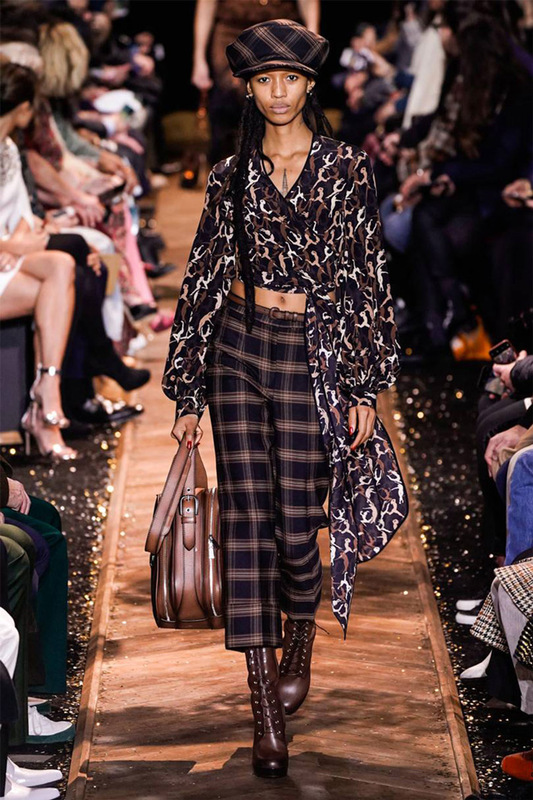 Designers were determined to get you in the mood for the Oscars with a host of couture-worthy gowns stealing the limelight on the runways; while away from high-drama silhouettes, we’re set for a revival of heritage checks, luxe knit dresses and office-worthy leather to reinvigorate your current autumn/winter wardrobe. 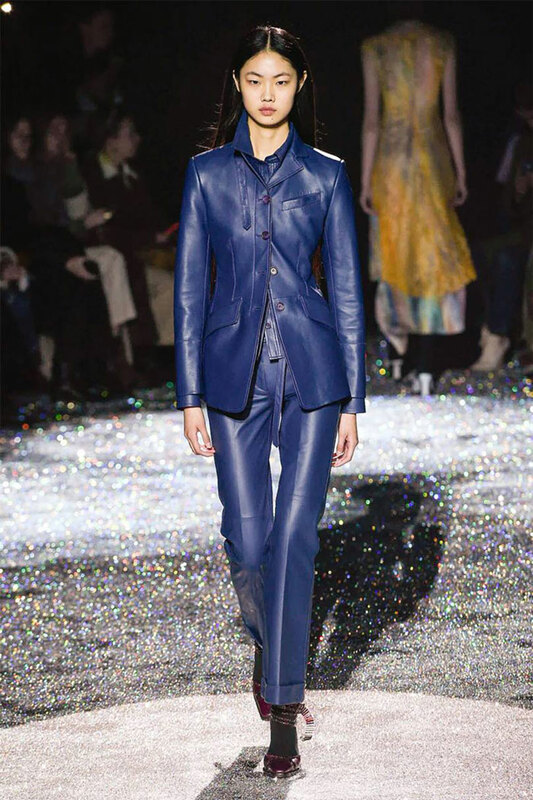 Next season brings a new twist on capacious Eighties-style suiting. 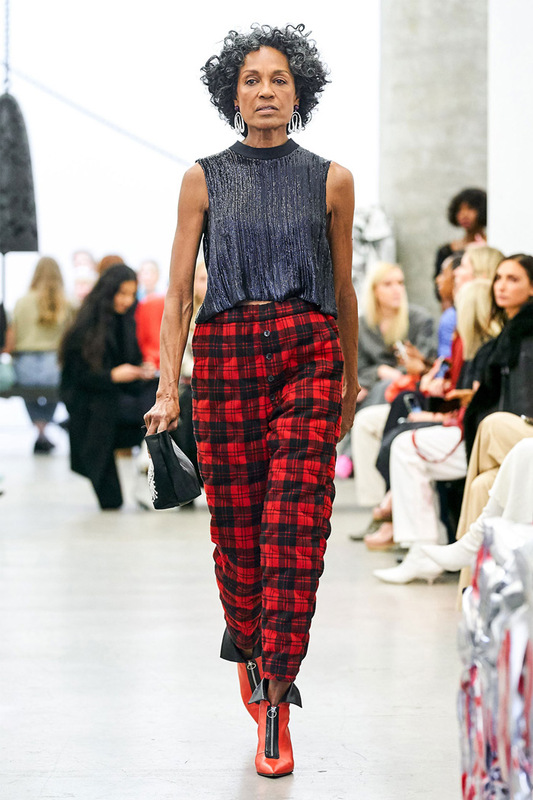 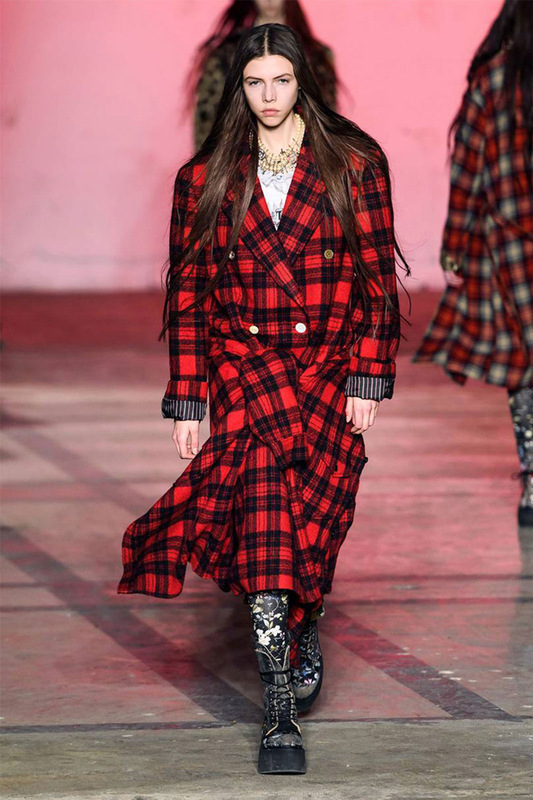 According to New York’s designers, countrified checked tailoring is set to enter our working wardrobes–see Khaite and Coach’s two-pieces. 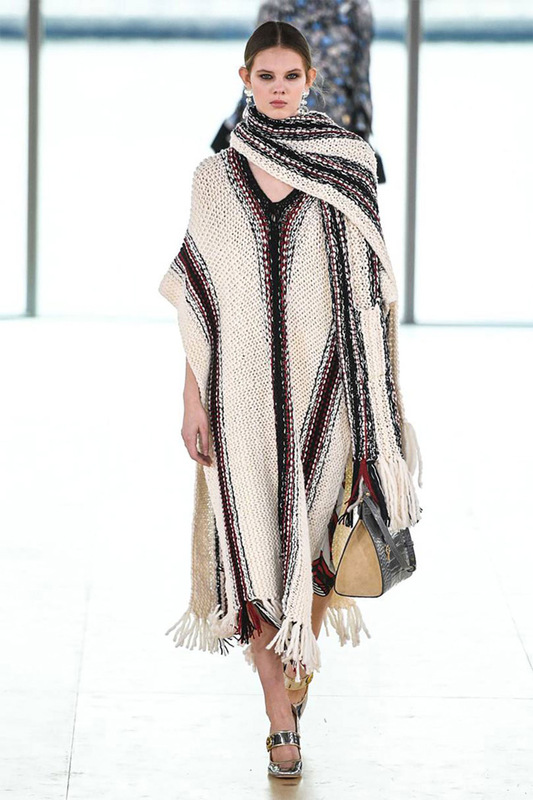 Oscar de la Renta and Marc Jacobs offer a fresh reference point for eveningwear; while Gypsy Sport and Priscavera cast blanket checks as part of the Millennial’s essential wardrobe. 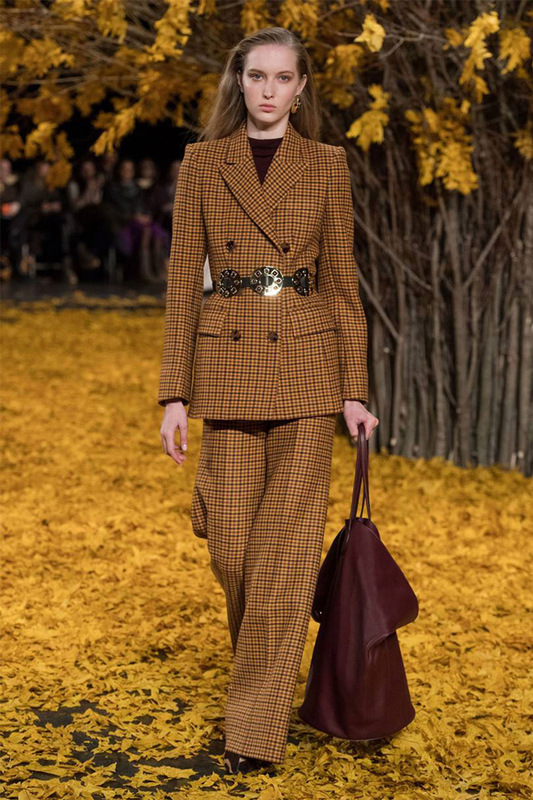 Switch your oversized black cocktail blazer for tweed and fasten with a contrasting belt. 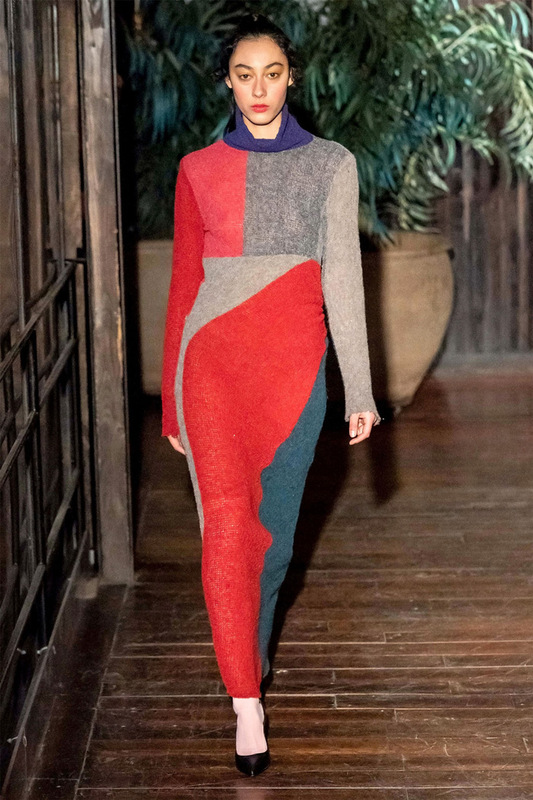 Knitwear has earned a prime catwalk spot thanks to NYFW. 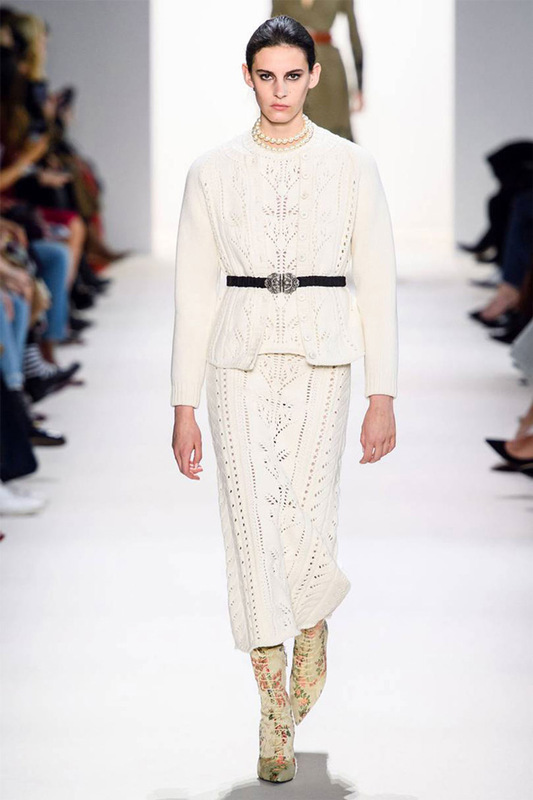 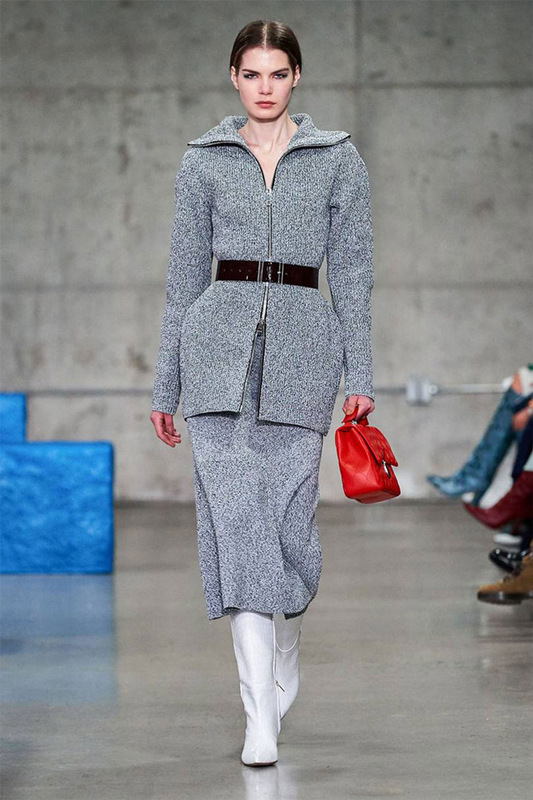 From slimline ribbed knit dresses (Proenza Schouler) to comforting homespun ponchos (Tory Burch)–the woollen dress is shaping up to be one of autumn/winter 2019’s key investment buys. 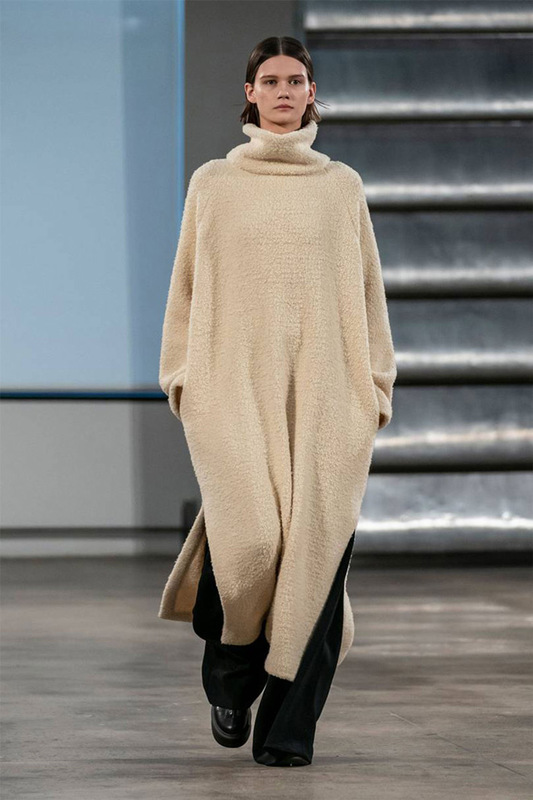 Shed the chunky shearling/puffer/faux fur: buy your sweater two sizes up for knee-grazing knit to pair with a blanket knit scarf draped over the shoulders. 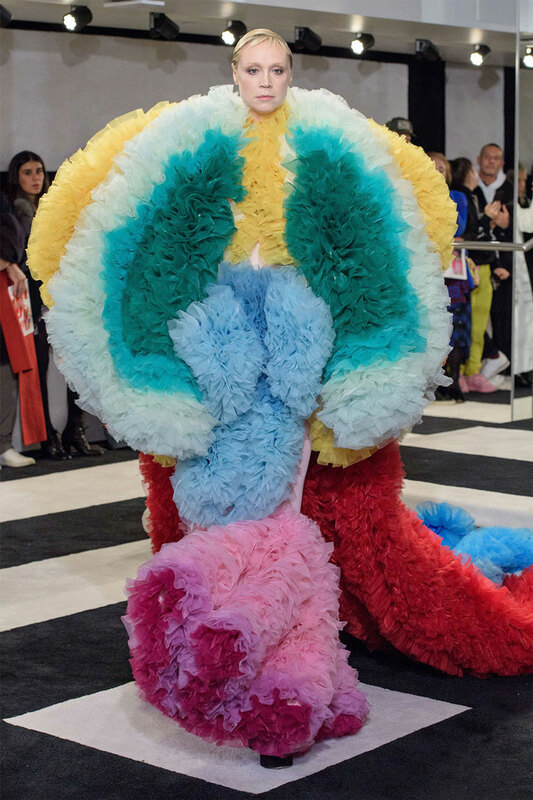 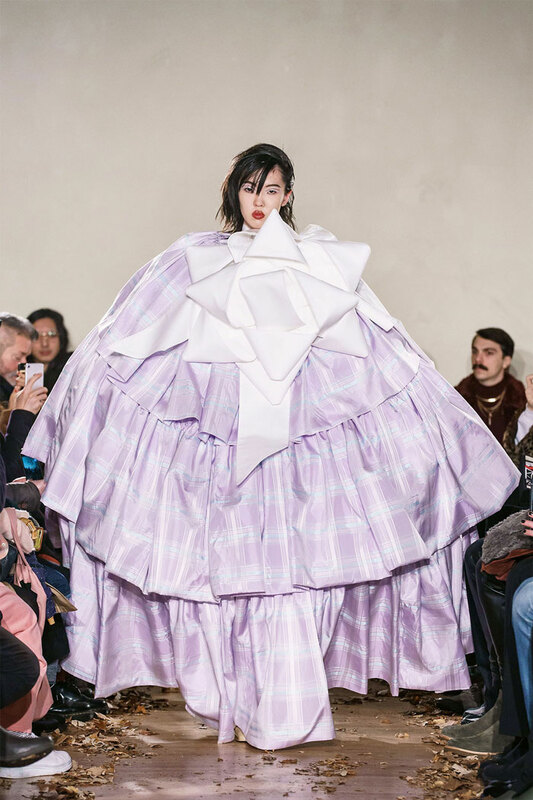 Chances are you caught a glimpse of rising design star Tomo Koizumi’s blockbuster show on Instagram, as LOVE editor-in-chief Katie Grand, makeup artist Pat McGrath and hair stylist Guido Palau united on a fashion spectacle capable of breaking the internet, one enormous gown at a time. 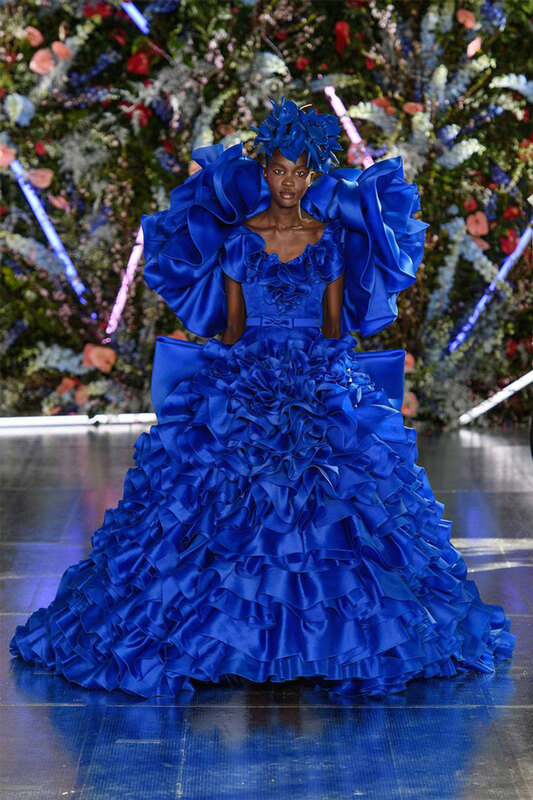 Koizumi wasn’t alone, with fellow ready-to-wear designers Marc Jacobs, Christian Cowan, Sies Marjan and Rodarte pulling out the frou, frills and taffeta in saturated shades on their NYFW runways too. 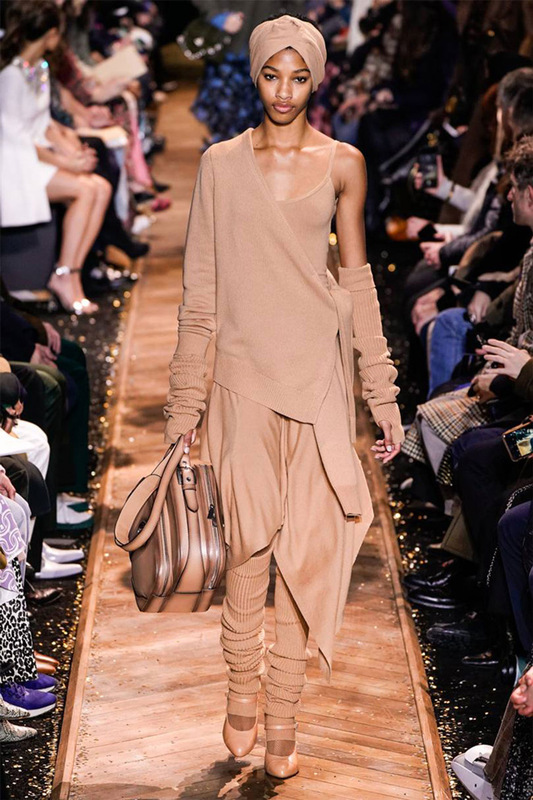 First: beg, steal or borrow Valentino couture. 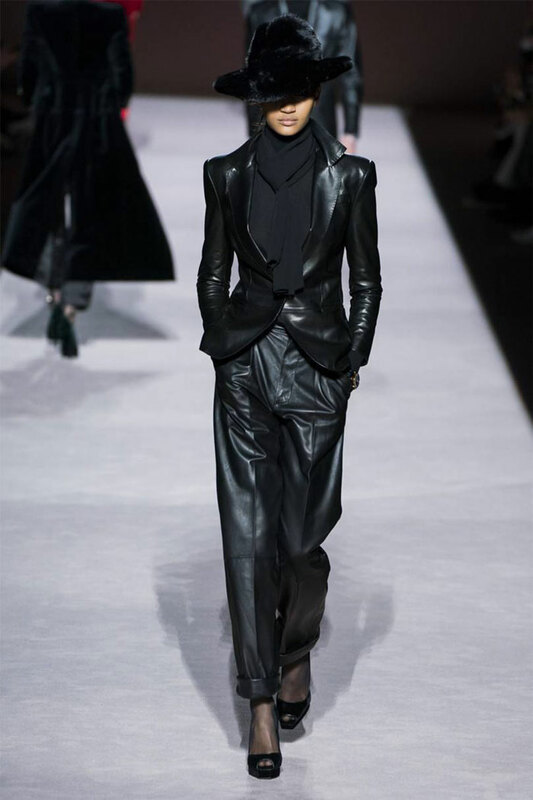 Second: carry off a sense of an occasion (with an edge) and plump for a voluminous taffeta skirt, paired with a zero-fuss crisp white shirt. 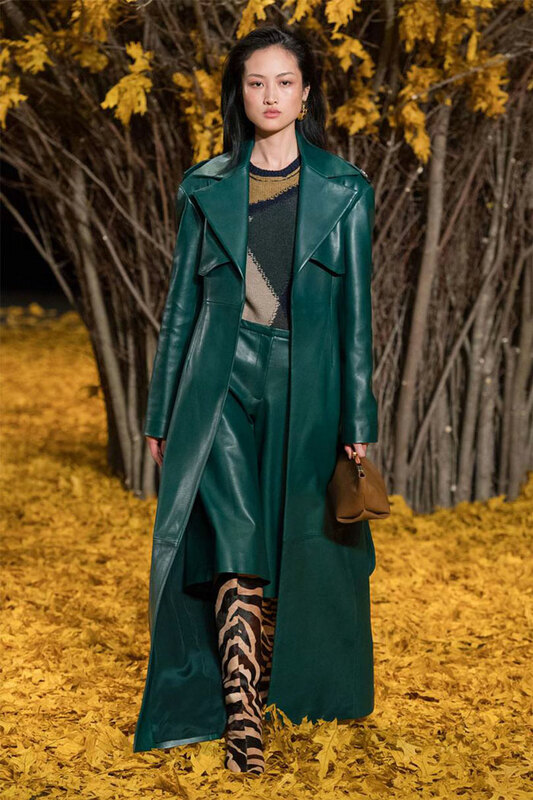 Leather (including the latest vegan-friendly varieties) is back in the spotlight, subject to an office-proof update. 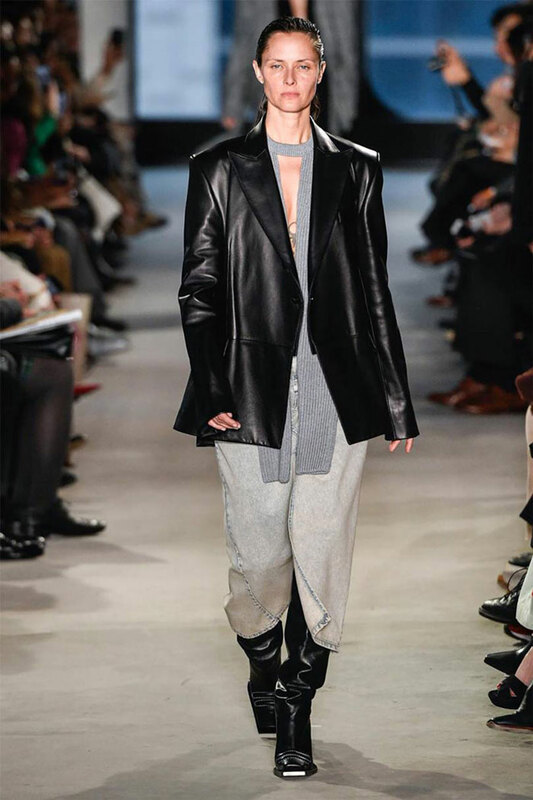 Gone are the oversized biker jackets, replaced by the mid-Nineties leather blazer, leading the way at Proenza Schouler, Tibi and Tom Ford. 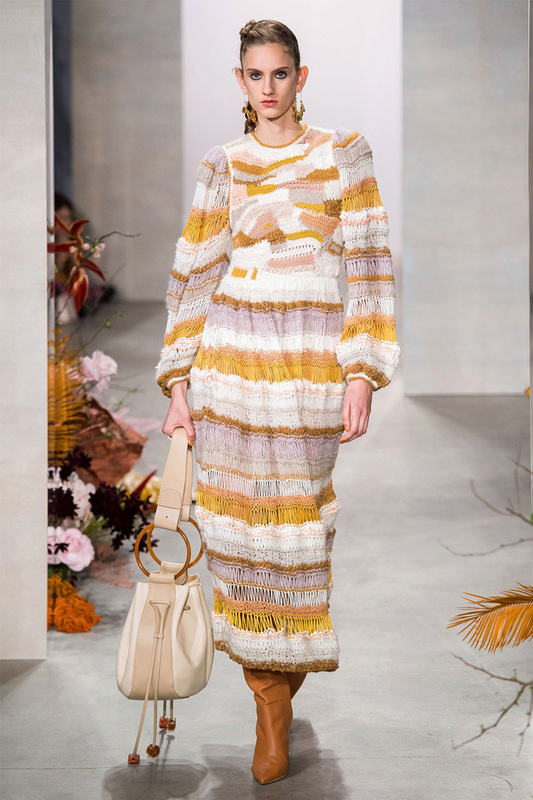 Anyone who’s wardrobe leans heavily on modest midi dresses should look to Zimmermann for their new season takeaway, where a certain sumptuous tailored leather dress caught buyers’ eyes. 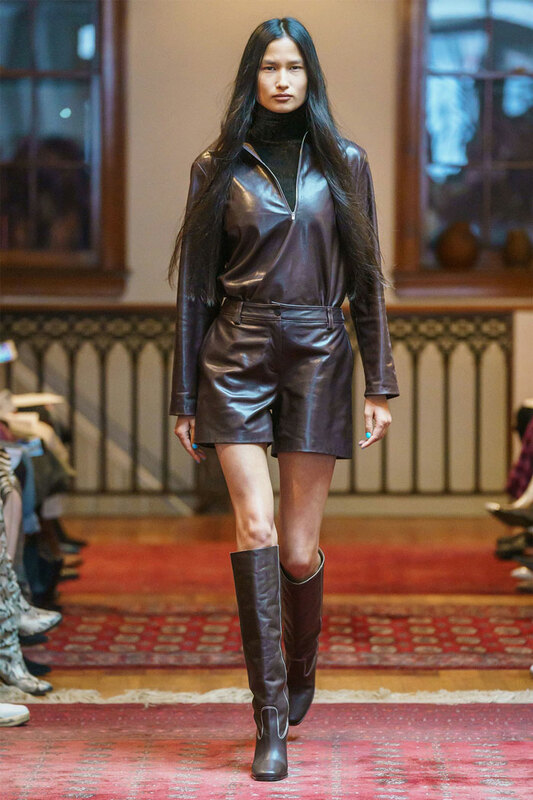 Stow the biker jacket and shop architectural lines: if the backbone of your wardrobe is a tailored trouser or calf-length dress, these are your starting points for introducing wearable leather or leather-look pieces. 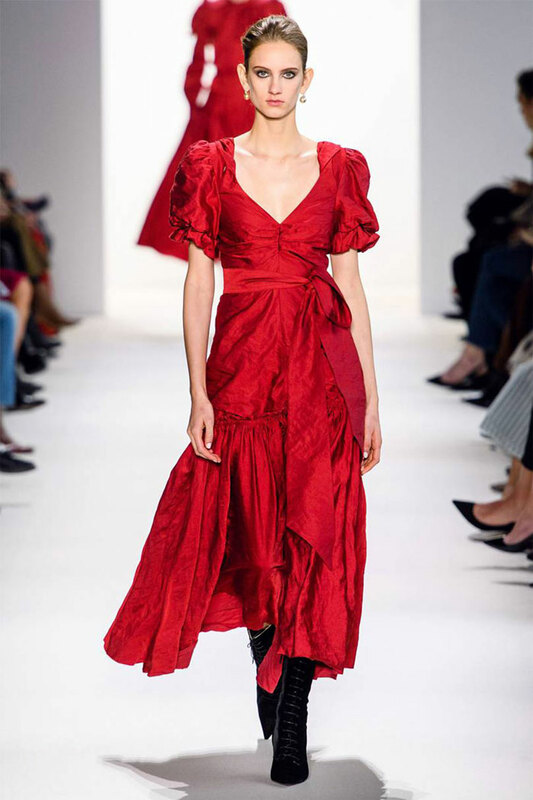 Whether you’re a diehard romantic who’s drawn to pillowy sleeves, or looking for the knockout cocktail dress that is guaranteed to turn heads, there was a scarlet dress on New York’s runways for everyone. 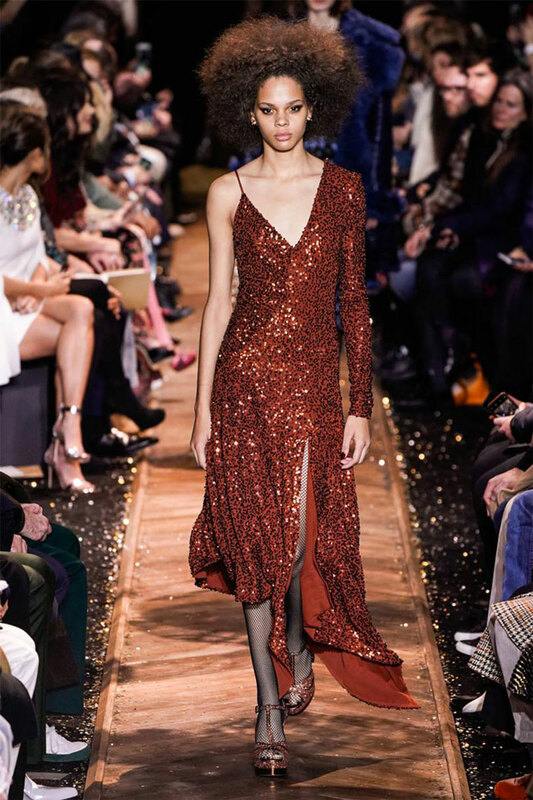 From elegant quilting at Oscar de la Renta to a Wizard of Oz-worthy sprinkling of sequins at Hellessy, the ultimate statement of unabashed femininity is back. 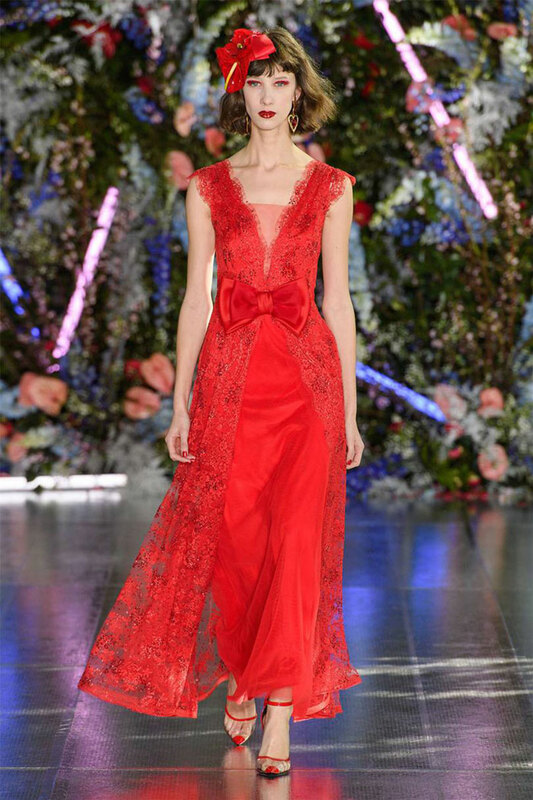 Don’t reserve your scarlet dress for evenings out. 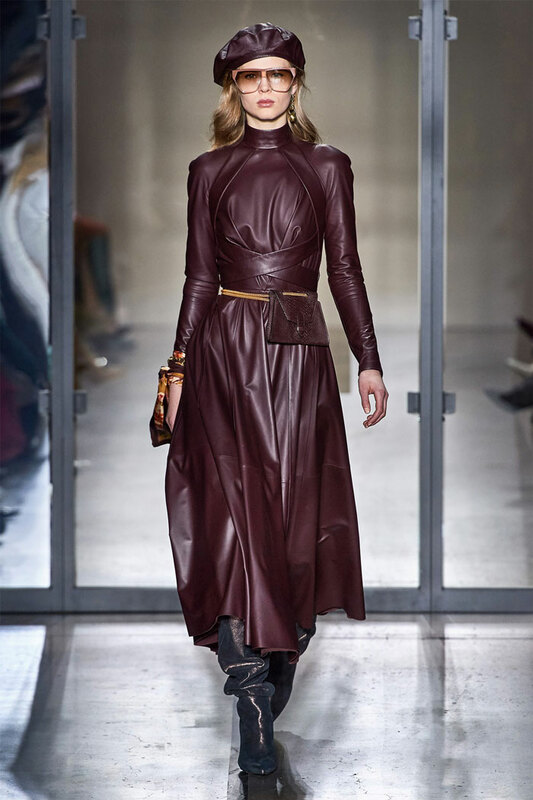 A contrasting pair of knee boots (try patchwork leather as spied at Michael Kors) will edge eye-popping shades of fire engine red into a daytime domain.